Is there any industry that loves to tease us as much as the entertainment industry does? They get our hopes up for films that won't come out for months (or even years) and we are just left yearning, our only repreive being the tantalizingly short teasers and trailers they'll throw at us every once in a while when the waiting just gets to be too much to take. The first television spot for Spectre aired during the NBA finals on Tuesday. The Spectre teaser is full of exciting moments that will surely get you stoked about the return of James Bond. Sadly, you're still gonna have to wait a while for the film's premiere. 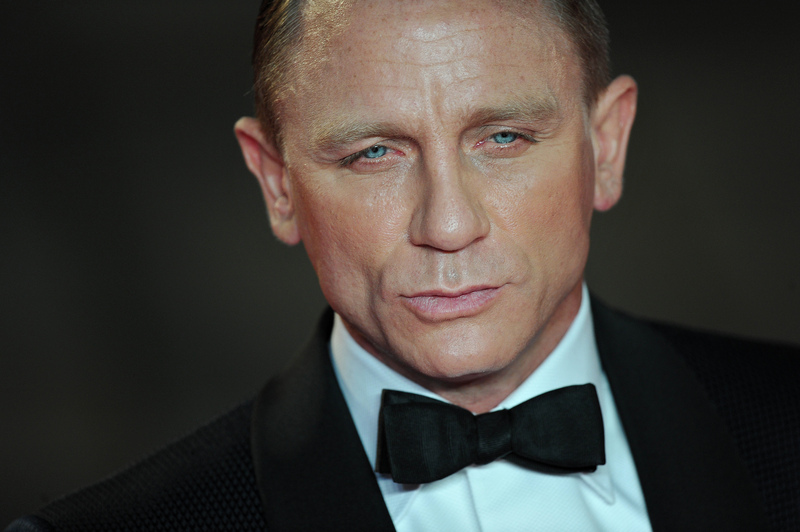 Spectre, the lastest film in the James Bond franchise, is set to debut in November 2015. As they say, the good things in life are worth waiting for and Daniel Craig is definitely included in that category of "good things." Daniel Craig comprises a large portion of the "good things" category, actually. Though we don't know too much about Spectre yet, we can surmise a few things from the new teaser. There will be violence, guns, unnecessary recklessness with million dollar luxury vehicles, some hot chicks, more violence, planes and helicopters, some more guns, and hot chicks. So check out the teaser below and revel in these 23 exciting Spectre moments that will have you on the edge of your seat. We see the dashing Mr. Bond for the very first time. ... And someone is on to him. Get your eight hours, kids. Get the Illuminati conspiracy theorists in here, stat. This looks like a meeting you might not walk away from. I would wear more breathable clothing if I knew I was going to end up constantly dashing through crowded streets. Bound shouts "Initiation the shut down sequence, now!" Token computer hacker guy smacks few keys, hits enter dramatically with his beefy thumb, and ta da! System shutdown initiated. Bond takes a few days off from his mission to do some spelunking. ... with horrifyingly expensive cars. Joey Tribbian is to "How you doin'?" as Bond is to introducing himself as "Bond. James Bond." It's all part of a day's work. I can only imagine what Bond's kill count is right now. This is before he posted that selfie to Insta. This doesn't bode well for James. I would stick to ground transportation, Bond. This is not a euphamism. Bond is constantly leaping over buildings that happen to get in his way. I need a 24 style breakdown of James Bond's day because I am skeptical that he has time to constantly fly planes, jump off buildings, and run from bad guys while still somehow also finding time to shower, eat, sleep, get his suits laundered and freshly pressed, and bang a bunch of chicks. Color me skeptical. This seems to happen a disproportionate amount in movies. I would have been fine if the whole teaser had just been slow motion shots of Daniel Craig's face.